Are you interested in having Alice present at your library, school, book club or group in the D.C./Northern Virginia area? Use the Contact Page to e-mail her about the details. 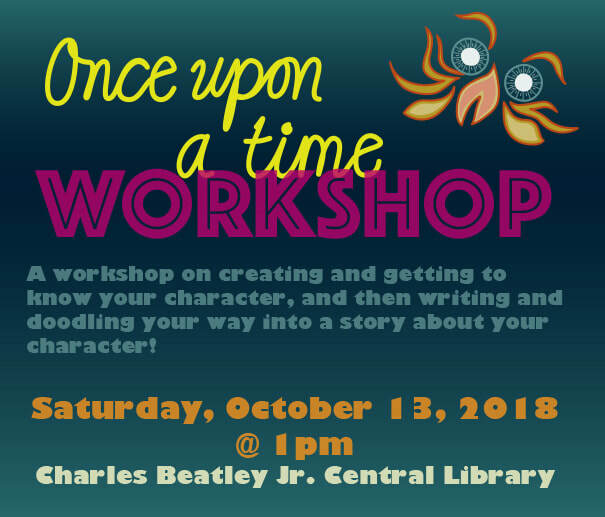 In this workshop, we're going to talk about how making your character come to life will help you create stories about him/her/it! We'll start with an exercise to get to know your character inside and out. Then, we will build on a story plot and explore what makes a story compelling to read. Finally, we'll use drawing and doodling to help us get our creative juices flowing! The downloadable files below can help you in your own storytelling journey. TBA January 2017: RESCHEDULED focus group for book 2! Saturday, September 24, 2016 @11 am and 2pm: Fall for the Book! THANK YOU to the precocious group of kids who helped out with the "Creating a story" exercise, and to the teachers who came with their kids in the afternoon and sharing with me their thoughts about my book this past Saturday, Sept. 24! If you'd like to join the twice-monthly post e-mails to find out about other local events and when book 2 will be released, please go to the Contact page and let me know. Thursday, July 23, 2015 @4pm: Mount Vernon Park, Alexandria, VA 22308. 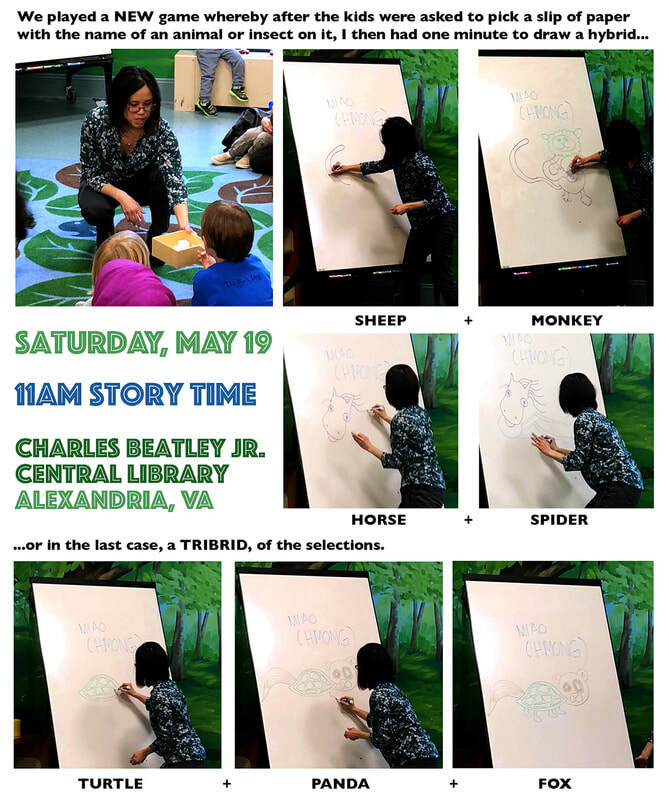 11:00am, Saturday, June 13, 2015, 11:00am: Charles Beatley Central Library, Alexandria, VA. This makes three! Fairfax, Arlington, and now, Alexandria City! Thanks to the Charles E. Beatley Library for adding Centipede Dragon A Benevolent Creature to your children's collection! Now, people of the city of Alexandria, RUN over to 5005 Duke Street and check it out/request it! March 11, 2015: Kid's Club, Aurora Hills Public Library, Arlington. VA. Thanks so much for coming to Aurora Hills Library to read your book and do the lantern craft with the children. The presentation was well planned and interesting, the craft was definitely a success! Everyone had a great time. I appreciate all the planning and especially the creative crafts!" February 20, 2015: Just Stories at Sherwood Regional Library, Alexandria, VA.
December 11, 2014: The Art of Batik with Centipede Dragon, Fairlington Community Center, Arlington, VA.
Oct. 9, 2014: The Inaugural Magical Scale Challenge Presentation, Fairlington Community Ctr., Arlington, VA.